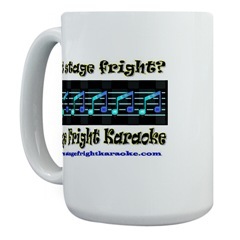 To view and/or purchase Stage Fright Karaoke merchandise, Click on the Banner above. 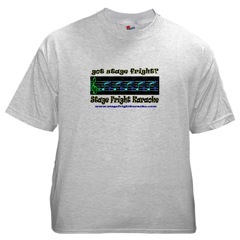 This will take you to a site containing "got stage fright" and other products. Here you may purchase items such as, but not limited to, Shirts, Hats, Magnets, and even a Clock. If you see an item on this site that you think should be included in my store, Drop me an e-mail. I'll look into it for you.